WASHINGTON (Reuters) - As Facebook Inc Chief Executive Mark Zuckerberg prepares to meet conservative leaders on Wednesday to discuss allegations about political bias at the social media website, one thing he may not have to worry about is federal regulation. Although the U.S. Senate committee is investigating whether there is liberal bias in how Facebook employees select news stories for its "trending topics," there is little chance the government will try to regulate their practices, said Republican Senator John Thune, chairman of the Senate Commerce Committee. "I don't have any reason to believe that would be necessary," Thune told reporters on Tuesday. 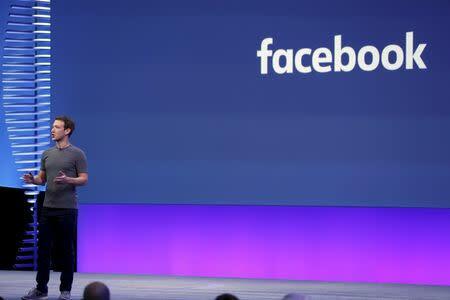 Facebook denied the allegations of bias and said it would conduct a full investigation into the matter. Zuckerberg also agreed to meet with conservative leaders to "share their points of view," according to a post on his Facebook page. Attendees at the Wednesday afternoon meeting at Facebook's Silicon Valley headquarters are expected to include conservative talk show host Glenn Beck, former White House press secretary Dana Perino and former Republican Senator Jim DeMint. 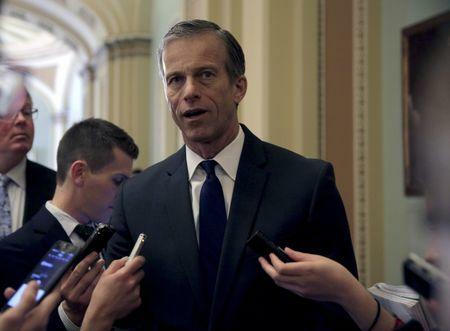 Thune sent a letter to Facebook last week to demand that it explain its editorial decision-making and how stories are chosen for the "trending topics" feature. He said his primary concern was that Facebook was potentially being deceptive about how the news curation algorithms work. The company was criticized in 2014 for secretly manipulating what content appeared for a sample of users to research the psychological effects of social media. Thune said Facebook has been in communication with his staff in the week since he wrote the letter. "More than anything else, it's an opportunity for them to set the record straight," he said. "As a legal matter, Facebook is not required to be even-handed," said Eugene Volokh, a law professor at the University of California, Los Angeles. "Congress can't introduce something that tries to prohibit Facebook from making these kinds of choices." Only 11 percent of Americans said they thought the federal government should play a role in determining what users see on social media sites, according to a poll of 2,000 registered voters conducted by Morning Consult and released on Wednesday. According to the poll, 55 percent of U.S. voters said they get their news from social media sites such as Facebook. The controversy over Facebook's trending topics has sparked questions about how transparent the company should be about how content appears on users' news feeds, given its influence over 1.6 billion members. Research commissioned by Facebook has shown that messages notifying users that their friends had voted during the 2010 midterm election prompted 340,000 additional people to cast ballots. "This story is connected to the largely invisible digital apparatus that influences the public," said Jeffrey Chester, executive director of the Center for Digital Democracy, a consumer advocacy group.